This is such a fun way for kids to learn the Parable of the Sower for Sunday school lessons. We used a seed activity, listed things seeds needed to grow, and made a flower craft. For our lesson this week we talked about the Parable of the Sower from Matthew 13. The main point we tried to get across was that some people believe the gospel and others reject the gospel. This is a great lesson for Kindergarten, 1st grade, 2nd grade, 3rd grade, and 4th grade kids. 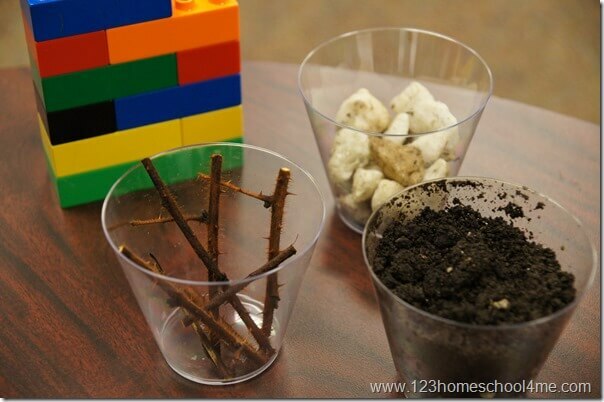 We talked to 1st graders and used the above examples of the lego road (with no room for the seeds to take root), rocks (hard to get to the soil), thorns (where plants would get choked out), and the good soil that would grow plants easily. To tell this story with younger children I suggest putting down paper to make a path. Have one side have children hold pipe cleaners at be thorns, and then the other side be rocks, and at the end you can have brown paper for the good soil. Walk the kids through the story by throwing down seeds as you go. As the kids came in they each got a sheet with 17 blanks and a word bank of various fruits, vegetables,and flowers. 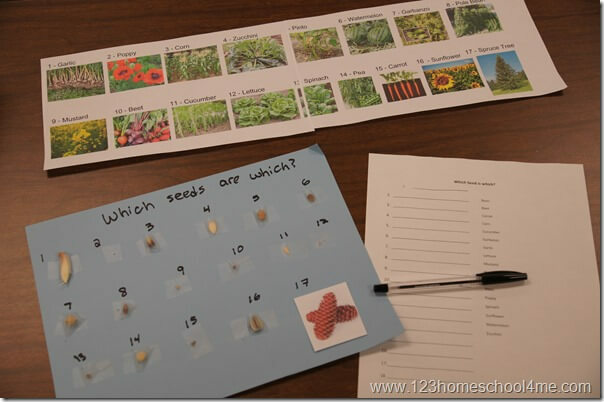 The kids then had to go find one of several charts with the seeds taped by the number. Kids had to try to figure out what seed was what plant. At the end kids went to the leader with the above plant pictures to check their answers. Our lesson happened to line up with Mothers day so this craft was the perfect combination of Mothers Day and a seed craft to go along with our Parable of the Sower.